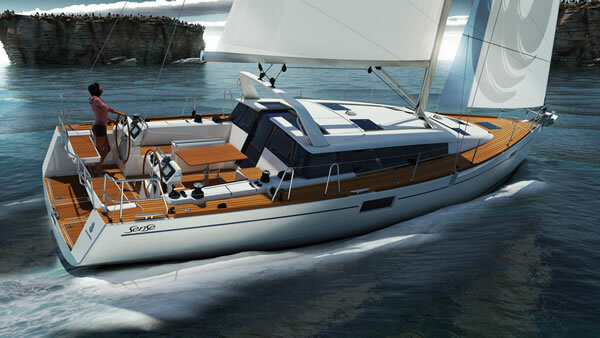 On the tailwinds of the ultra popular SENSE 50, Beneteau will be hosting the worldwide premiere of the 'little sister' SENSE 43 at the Paris Boat show in a couple of weeks. Attendees to the Strictly Sail Miami Show February 17-21, 2011 will be treated to the North American debut of the Sense 43. 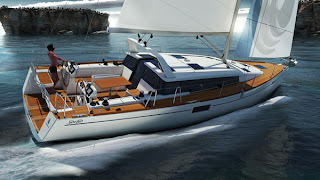 As our wonderful Chicago weather turns cold, we thought that we would share this great (read: warm) video of the new Sense 50 from Beneteau. Just preparing you all so that you don't do a double-take when you see one sailing on our great lakefront in Spring of 2011. Recently name 'Most Innovative Boat of the Year for 2011' by SAIL Magazine, see for yourself what the buzz is all about. 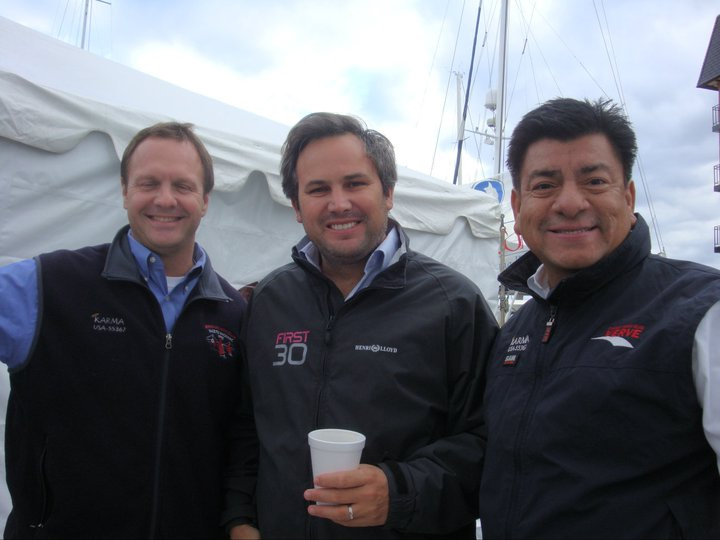 Project 2015:A Vision for Sailing's Future in Chicago? We ran accross this video and choose to share with everyone because it clearly speaks to what the community sailing approach can be like in our city by the big lake- Chicago. Having both grown up in a neighborhood where sailing wasn't as common, we both came into the sport later in life. Many our age from other areas of Chicago have grown up in sport. This is something our children are the benficiaries of today. Our exposure at different timepoints in our lives led to the possibility that the lifestyle of sailing has moved beyond a passion into a way of life and business for us. It is our vision to change this dynamic so more children and adults can have access to the water. We both share a common goal that this access to the water not be limited to those who own boats, but anyone who shares the curiousity and is willing to put forth the time to learn and explore. In the end, sailing is just that - a journey- an adventure. No to sailing trips are the same and each one teaches you something new. We hope that someday soon - what we feel is our great city's best assett- Lake Michigan be accessible to all who choose to venture out. So the skeptic might say that since we are in the sailing business we look to benefit from this financially, however our intentions are more basic than that- to impact a dynamic that we see developing in Chicago- using sailing as a platform to empower the youth of our city to dream, to set goals and accomplish them. To have youth realize that they can do what ever they put their minds to. Today it might be overcoming a fear of being on a boat- tommorrow it might be sailing competitively at a top university while completing a degree. Nothing ventured- nothing gained right? This video clearly depicts the center of activity that defines a community sailing center. In Boston, one is able to walk up , transact and have access to the Charles River. If Boston can do it on the Charles, why can't we do the same on Lake Michigan. 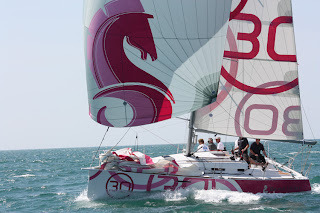 That is our vision- to share the lifestyle of sailing with as broad range of citizens of the City of Chicago and beyond. It truly is our City's best unkept secret! 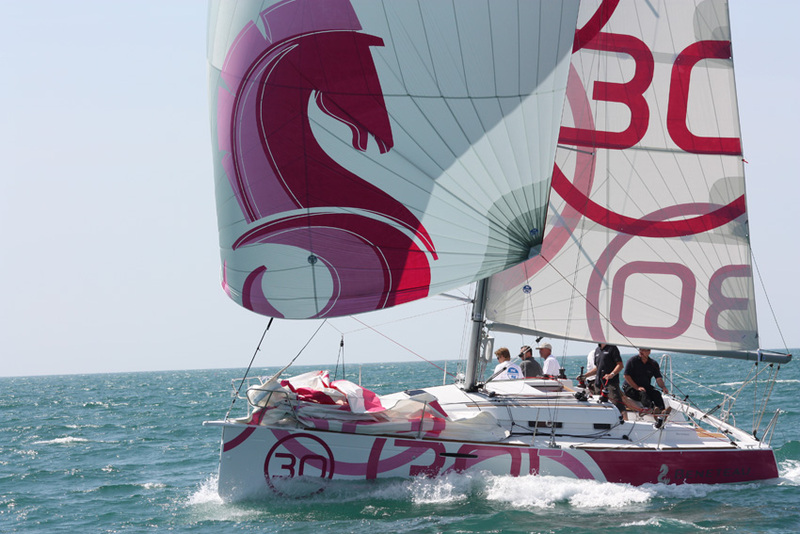 Two 2011 Beneteau Models were recently awarded the "BEST BOATS" title for 2011 by SAIL MAGAZINE. The BEST BOAT for Most Innovative System went to the SENSE 50 with it's revolutionary 'DOCK & GO' system that packed the docks at the recent Annapolis Boat Show. The Arrival. Trailer of The 102nd Chicago Yacht Club Race to Mackinac Documentary, Presented by Veuve Clicquot from Fig Media on Vimeo. A brief snapshot that summarizes what the "MAC" means to the over 3500 sailors who do this race each year in July. 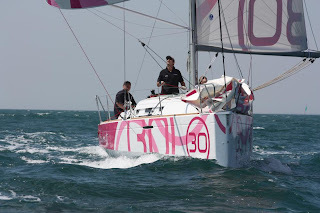 After designing some of the world’s fastest raceboats including ABN Amro One and Ericsson 4, winners of the last two Volvo Ocean Races, Juan Kouyoumdjian recently penned his first production racer-cruiser, the Beneteau First 30. SAIL caught up with “Juan K” for a video interview of his thoughts on production boatbuilding, the similarities between the First 30 and a Volvo 70 ocean racer, and the future of yacht design." KYS Co-Owners/Co-Founders Jack Buoscio and Lou Sandoval with Juan K.
Not all serious problems are this obvious, which is why a surveyor is a must-have for used boat buying. KYS Note: One of the many benefits of working with a YBAA broker is the professional handling of all aspects of your Boat purchase or sale process. One of the components is identifying a Marine Surveyor to review and inspect your brokerage boat. Enclosed is a good article that breaks down the necessity of Marine Surveyors. Most of us would be able to spot obvious structural problems with a boat, but many issues are too subtle for anyone but a professional surveyor to catch. November 8th 2010. By Chris Caswell. It was an eye-opening experience because, as a long-time boat owner, I thought I knew a lot about boats. I was buying a used 25-foot fibreglass sportfisherman, and I’d already spent most of a day crawling around the bilges and poking into the corners, and I had given the boat a clean bill of health. But my insurance company had insisted on a marine survey, so I was following the surveyor as he examined the boat. A tiny crack in the gel coat at one corner of the cockpit led him, just like Sherlock Holmes in pursuit of a clue, to the main cabin bulkhead. I’d examined that same hull/bulkhead joint too, but the surveyor found another hairline crack that indicated the whole bulkhead had broken loose. In fact, all the bulkheads had “let go” from the hull to some extent, and they were so hard to spot that I’d missed them completely. In a few minutes, that surveyor had saved me more than 40 times his bill! Even if you think you know everything about boats, you still need a marine survey. 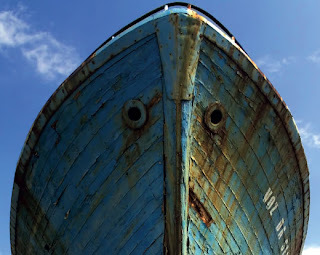 A survey assesses the structural condition of a used boat and will include electrics, plumbing, gas and other equipment, or if there is something the surveyor is concerned about, he will suggest a further inspection by a relevant expert (e.g. mast or engine). If you require a valuation you need to request it, as the surveyor won’t otherwise include it. Although you can buy a used boat without a survey, you probably can’t arrange financing or insurance without one. So any idea of cutting costs by eliminating the survey is just going to make life difficult after you’ve bought the boat, especially if it won’t pass survey and you’ve already paid the buyer. The first question faced by any prospective buyer is finding a reputable marine surveyor. Unfortunately, there is no licensing program for this profession, so anyone can have business cards printed up and call themselves an expert. Reputation is the key to finding a good surveyor, however, and you’ll need to do some sleuthing of your own to find one. Start with your finance company and ask them for a list of surveyors that they deal with. They’ll often have a list of “approved” surveyors from which you can pick. Call your insurance agent for his recommendations, and compare the two lists to see which surveyors are on both lists. From that point, you should call yacht brokers or boat dealers in your area and, if you know anyone who has recently purchased a used boat, ask about their experience or ask around a sailing club.